Whether you're a first time buyer, looking for a buy to let or considering downsizing Dale House is the place for you. 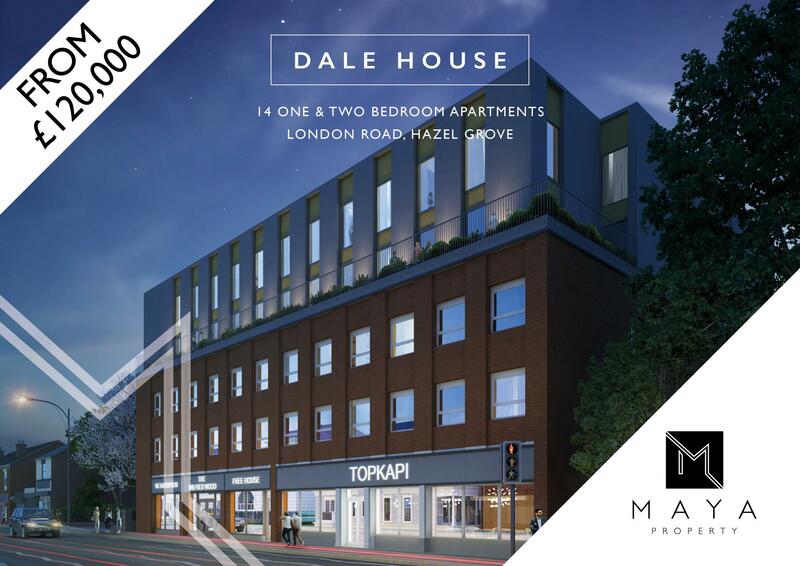 This superb apartment development is positioned on the main high street of the popular Stockport suburb of Hazel Grove. 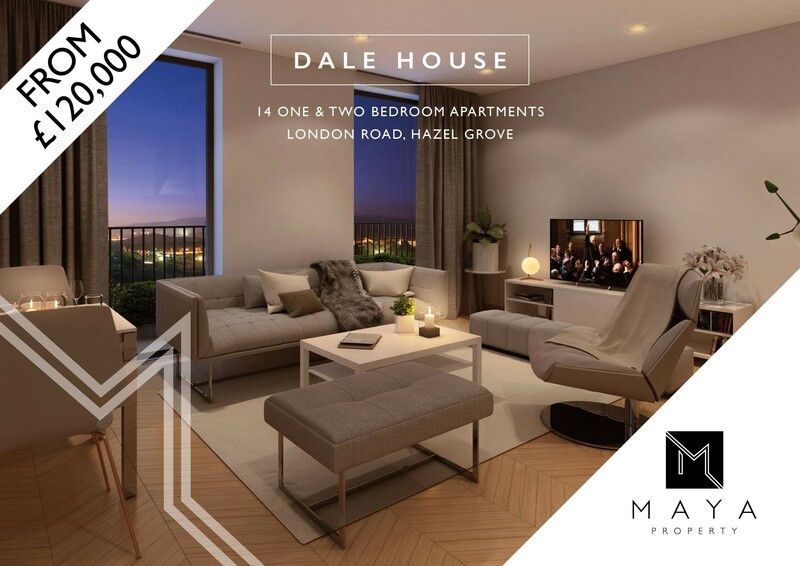 With its range of good schools, nearby amenities, close proximity to the local train station and bus routes into Stockport and Manchester Piccadilly, Dale House is the perfect location for all. Each apartment has been thoughtfully designed to optimise modern day living, offering generous space throughout. An open plan kitchen/dining/living area gives the opportunity to cook, eat, entertain, gather socially and relax. Choose from one or two bedroom layouts, ranging from 39 - 54 sq m.
Specification- Dale House provides the very best in modern living, including contemporary style white gloss fitted kitchen with matching white laminate worktops and Hotpoint appliances including: Electric oven and hob, undercounter fridge with freezer tray, washer/dryer, integrated extractor unit. Grohe Taps and Polyflor Wood FX flooring completes this ultra stylsih kitchen. The bathrooms consist of a clean, crisp white suite with electric shower and complementary Twyfords Alcona wash hand basin, toilet and cistern. As a finishing touch, elegant neutral tiles have been chosen for the wet areas. Each apartment benefits from 1 car parking space. 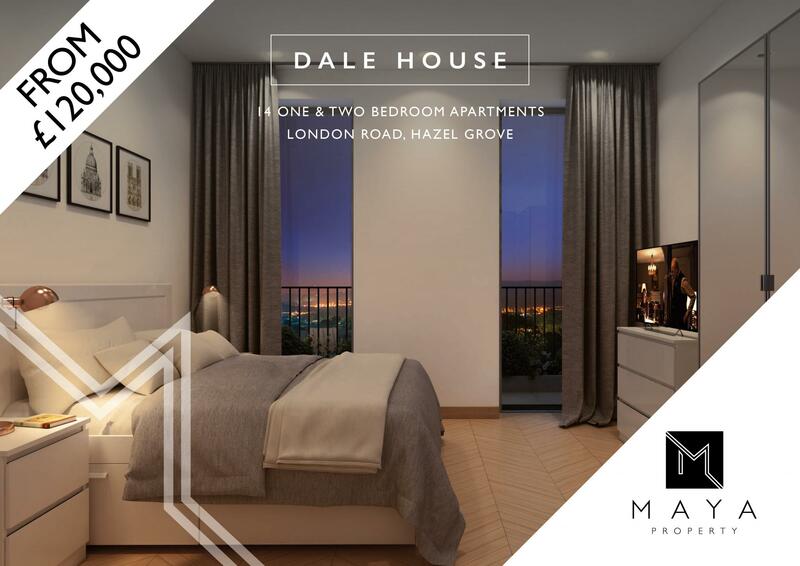 Location- Dale House is located just off the A6, in the heart of Hazel Grove village with a wide selection of shops, pubs and restaurants close at hand. Health clubs, recreational centre, tennis and bowling club, Torkington park and the nearby Hazel Grove Golf club complement the village's social scene. A large Sainsbury's supermarket and M&S Simply Food is just a few minutes away for all your everyday essentials, while the sought-after village of Bramhall is three miles from home, featuring a range of boutique shops, restaurants, cafes and bars. For retail therapy on a larger scale, you can travel a short distance to Stockport which has a range of shopping centers plus plus a Victorian market hall. Hazel Grove has a well equipped transportation network with the bus & train station just a few minutes walk away. Easily accessible, is the M56 and M60 with Manchester Airport only 20 minutes away by car. Reservation Fee - £500, Ground rent per annum = £250** This may change, Service Charge roughly £700 and £900 ** This might change but a good guidance, Lease is 150 years.